Sunday afternoon featured a few showers and storms across the southern half of the state. 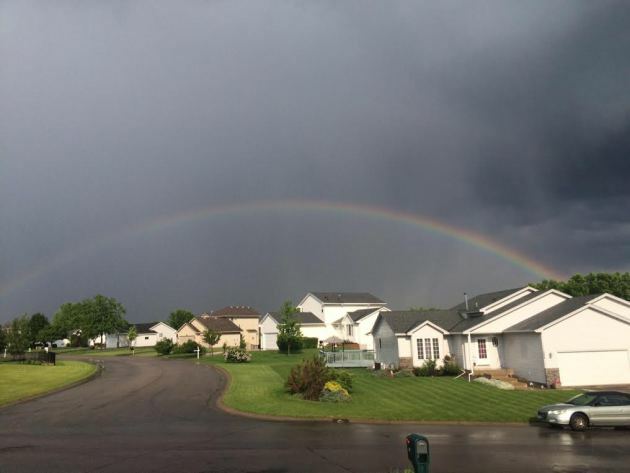 Here was a picture as a rainbow developed in the wake of a heavy downpour on the NW side of the metro. This is what the radar look like late Sunday afternoon/early evening as a few storms popped up and pushed through parts of Central MN. ...SUMMARY... ISOLATED SEVERE THUNDERSTORMS ARE POSSIBLE ACROSS PARTS OF THE NORTHERN GREAT PLAINS SOUTHWARD INTO THE CENTRAL AND SOUTHERN HIGH PLAINS MONDAY AFTERNOON AND EVENING. ISOLATED STRONG TO PERHAPS LOCALLY SEVERE STORMS MAY DEVELOP OVER PORTIONS OF NEW ENGLAND DURING THE AFTERNOON. LOCALLY DAMAGING WIND GUSTS AND LARGE HAIL WILL BE THE MAIN THREATS. ...SYNOPSIS... COMPLEX SPLIT FLOW REGIME WILL PERSIST MONDAY. IN THE NRN STREAM A SHORTWAVE TROUGH NOW OVER THE PACIFIC NW IS FORECAST TO AMPLIFY AS IT MOVES INTO THE NRN HIGH PLAINS DURING THE AFTERNOON. THE NEGATIVE TILT TROUGH CURRENTLY OVER THE GREAT LAKES WILL DEAMPLIFY AS IT CRESTS UPPER RIDGE OVER THE NERN STATES. IN THE SRN STREAM THE CUTOFF UPPER LOW OVER THE SWRN U.S. WILL DRIFT VERY SLOWLY EWD ACROSS AZ...BUT POTENTIAL EXISTS FOR WEAKER DOWNSTREAM IMPULSES TO MOVE INTO THE SRN PLAINS. A SFC LOW WILL EVOLVE OVER THE NRN HIGH PLAINS IN ASSOCIATION WITH THE APPROACHING SHORTWAVE TROUGH. 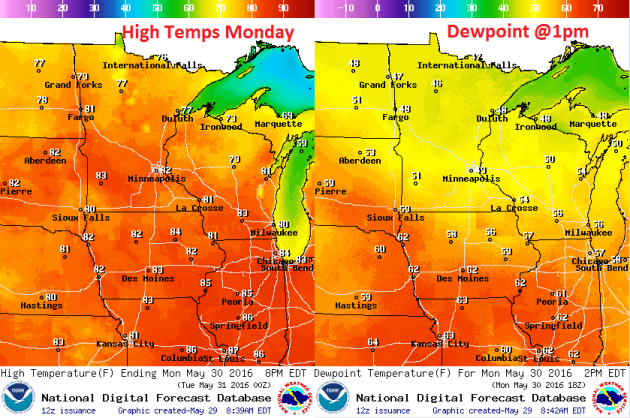 BY MID-DAY A WARM FRONT WILL EXTEND FROM THE LOW OVER WRN SD EWD INTO THE UPPER MS VALLEY. A COLD FRONT WILL ADVANCE SEWD THROUGH ERN MT AND EVENTUALLY MERGE WITH THE SFC TROUGH OVER THE NRN HIGH PLAINS. THE COLD FRONT WILL ACCOMPANY THE PROGRESSIVE NRN-STREAM SHORTWAVE TROUGH THROUGH THE DAKOTAS AND NEB MONDAY EVENING AND OVERNIGHT. FARTHER SOUTH THE DRYLINE WILL PERSIST OVER THE SRN AND CNTRL HIGH PLAINS. ...SUMMARY... ISOLATED STRONG TO SEVERE THUNDERSTORMS ARE POSSIBLE TUESDAY AFTERNOON AND EARLY EVENING FROM THE UPPER MISSISSIPPI VALLEY SOUTHWESTWARD INTO THE SOUTHERN GREAT PLAINS. LOCALIZED STRONG THUNDERSTORMS ARE POSSIBLE NEAR THE NORTHEASTERN GULF COAST AND NORTH FLORIDA DURING THE AFTERNOON. Here's the simulated radar from PM Sunday to Tuesday night. Note that a few lingering showers will be possible on Sunday. At this Point, Memorial Day Monday looks good for the most part, but showers and storms arrive late Monday night into Tuesday with locally heavy downpours. There may also be an isolated strong storm or two as the line moves through... stay tuned. The somewhat soggy weather will slowly push east on Sunday with a few lingering light showers across the region (mainly east). The next best chance of rain arrives late Monday night into Tuesday with some heavier downpour potential. 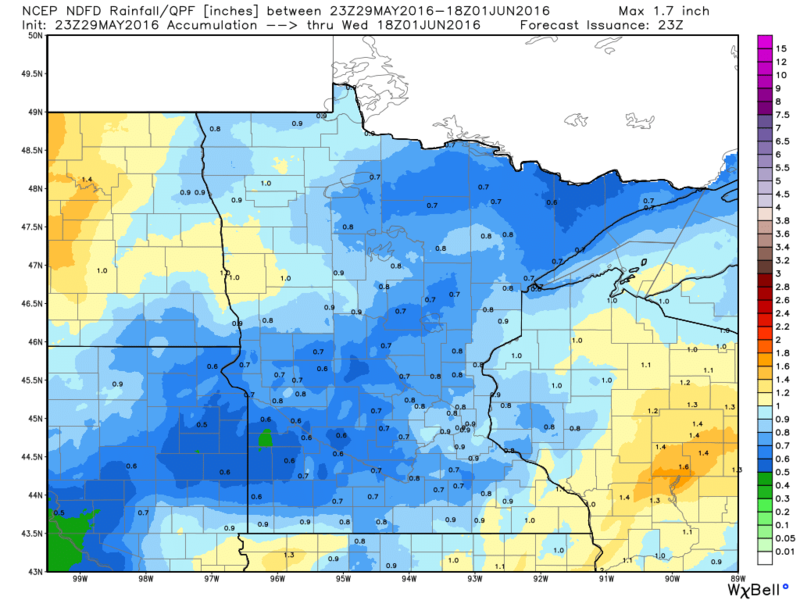 The image below suggests rainfall tallies through midday Wednesday with some some near 1"+ tallies across MN & WI. 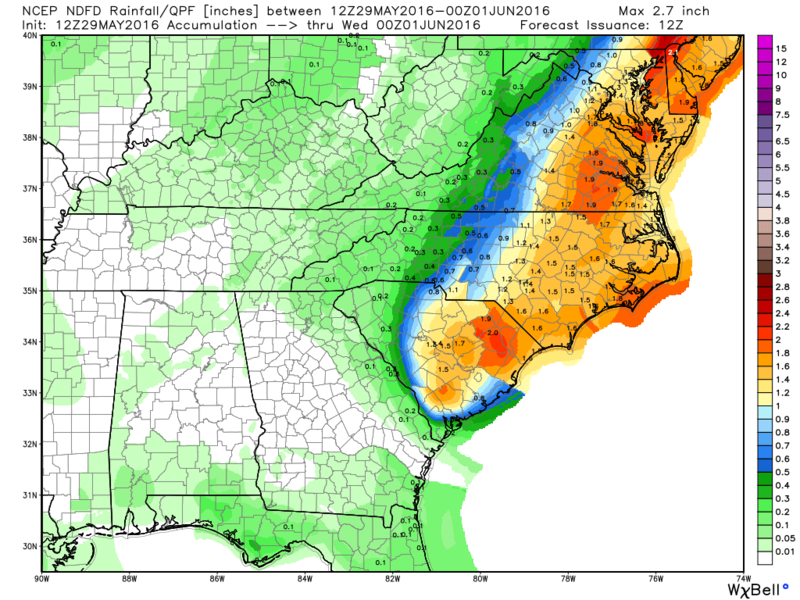 The radar loop below from PM Saturday showed bands of heavy rainfall pushing into South Carolina when Tropical Depression Bonnie was at Tropical Storm Strength. Gusty squalls will continue to bring strong winds and heavy pockets of rain to areas along the Coast as the weekend continues. The other big concern will be a strong rip current potential. Here's the rainfall potential through PM Tuesday, which suggests widespread 1" to 2" amounts from the Carolinas to parts of the Northeast. Heavy rainfall could lead to flood concerns along the coast and for some inland locations. The IR satellite from PM Saturday when Bonnie was at Tropical Storm strength. The satellite loop showed a fairly large blob of intense clouds nearing the SE Coast. This blob of moisture brought areas of heavy rainfall, gusty winds and RIP currents along the coast through during the first part of the holiday weekend. Wind circulation from early Sunday showed a very evident cyclonic wind field surrounding Bonnie. Note here that the center of circulation was sitting just off the coast of South Carolina. Here is the projected path for Bonnie through the end of next week. Note that the forecast keeps it as a Tropical Depression as we head through the week ahead. Interestingly, the Atlantic Hurricane Season officially starts on June 1st. Here's an interesting produce that suggests potential wind speeds over time. Note that a few models keep this particular storm into Tropical Storm strength over the next few days, while most models bring it back down to Tropical Depression status. The model path for this particular storm shows a pretty evident NE track after the system tracks into South Carolina. This system will likely pick up speed as we head into next week as it start to encounter stronger upper level winds, which may help to minimize the heavy rainfall threat as some of the moisture lifts into parts of the NE. Ahh, now this is more like it! Saturday's cloudy, wet weather was for the birds; ducks, in fact. After a not too shabby Sunday, I am happy to report that today will be THE nicest day of the holiday weekend. Reminiscent of late June, we reach the pinnacle today with bright sun and highs around 80 degrees. I guess this is what they call Chamber of Commerce weather. Even the complaint department has the day off! Whether it's heading to the lake or mowing the neglected hay field in your back yard due to several days of inclement weather last week, today's a winner 3 weeks from the Summer Solstice (June 20th). A fairly vigorous area of low pressure looks to spin up swarms of showers and storms late Monday with thundery downpours possible in spots through Tuesday. Cool exhaust on the backside of this storm brings us into the 60s for highs by the end of the week. Overnight lows will dip into the 40s with a few 30s possible up north. No worries though, widespread frost and freeze is not likely. MEMORIAL DAY MONDAY: Best day of the holiday weekend. Clouds thicken late. High: 81. Wind: SSE 5mph. TUESDAY: Scattered storms with locally heavy rain. A little muggy. High: 77. Winds: S 5-10mph. THURSDAY: More sun, refreshing breeze. Wake-up: 52. High: 69. Winds: WNW 5-10mph. FRIDAY: Dry start. Scattered PM T-storms. Wake-up: 55. High: 76. Winds: SE 5mph. SATURDAY: Lingering storm early, better later. Wake-up: 60. High: 77. Winds: SW 5mph. SUNDAY: Mostly sunny. Nice June Day. Wake-up: 60. High: 78. 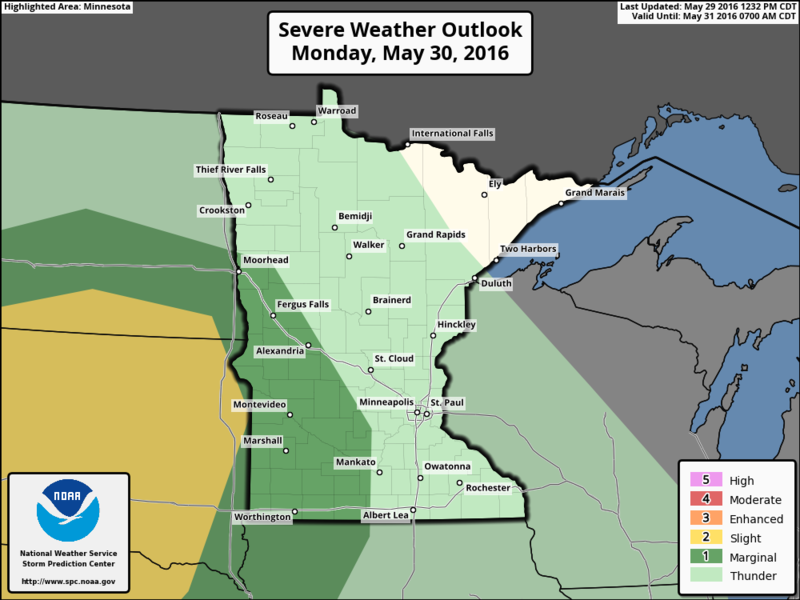 1998: A devastating line of storms hits east central Minnesota. 100 mph winds rip through Scott and Dakota County. Over 500 homes are damaged in Washington County. 15,000 trees are lost in the Twin Cities metro area, and 500,000 people lose power in Minneapolis. 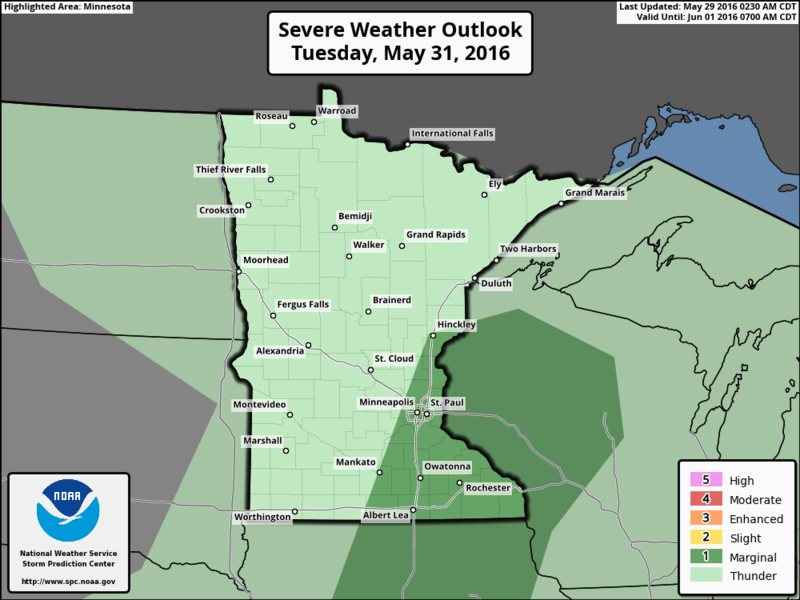 1985: A tornado hits Lakefield, and the Twin Cities report 67 mph winds. Take a look at the extended forecast below, which takes us into the first full week of June. Note that temperatures 'mild' through the early part of this week, but we begin to slip by the middle/end of the week with highs dipping into the 60s. Overnight lows will be a little more refreshing by the end of the week as we fall in the 40s; a few of the normal cool spots up north could even dip into the 30s. The good news is that I don't see any major frost of freeze concerns with this cool spat... Keep calm and garden on! According to NOAA's CPC, the 6 to 10 day temperature outlook suggests a return of warmer than average weather across the High Plains and parts of the Midwest from June 3rd to June 7th. So even after a little bit of a cool down mid/late week, we should be able to warm up again by next week! Monday WILL be the nicest day of the holiday weekend with bright sun and temperatures warming to near 10F above average across the state. The good news is that dewpoints will also be pretty comfortable in the 40s and low 50s, which by Minnesota standards isn't too shabby. 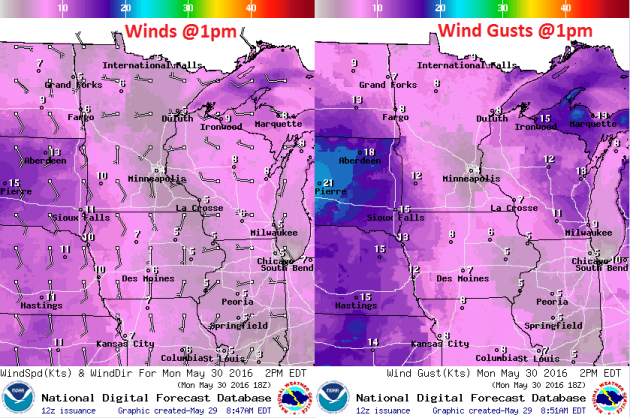 Winds on Monday will also be a non-factor for much of the day, however, note the increasing SE winds across South Dakota. This increase in wind speed is in advance of a storm system that will increase rain/thunder chances late PM Monday into Tuesday. Heavy rainfall and a few isolated strong storms can't be ruled out across parts of the Midwest from late PM Monday and again Tuesday. 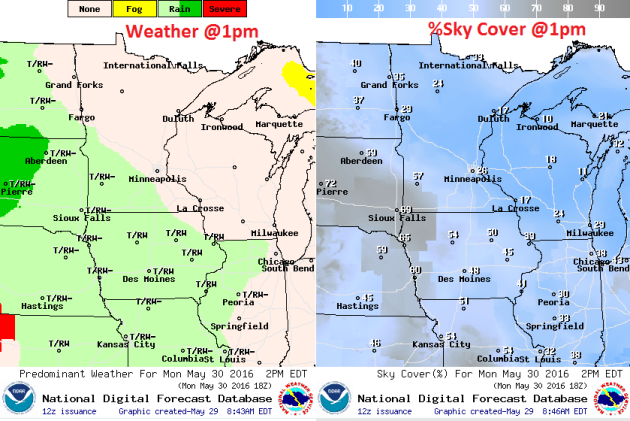 Again, Memorial Day Monday WILL be the nicest day of holiday weekend with plentiful sunshine across much of the state throughout much of the day. However, as we head into the second half of the day, high cirrus clouds look to move, which will make for filtered sunshine late across the Southwestern part of the state. Showers and storms will then move into MN & WI overnight Monday into Tuesday with heavy pockets of rain and isolated strong storm chances. The national weather outlook through early next week shows slightly improved weather conditions on Sunday across parts of the Central U.S., but another blob of heavier moisture looks to return to the Midwest as Monday and Tuesday roll around. In fact, there is a chance of some strong to severe storms along with heavier rainfall tallies. According to NOAA's HPC, the rainfall potential through the end of next week suggests some of the heaviest rainfall across parts of the Central and Southern Plains. Some 2" to 4"+ tallies can't be ruled out, especially across parts of Oklahoma and Texas, where those amounts may be a little more widespread. Also note the heavier band of rain along the East Coast as our tropical system lifts NE along the coast there. Some spots in the Mid-Atlantic region could see as much as 3" to 5"+ with the potential of localized flooding. "Obama is creating a 1,500-mile “butterfly corridor” to help Monarchs get from Mexico to Minnesota"
US president Barack Obama, a friend to bees and other pollinating insects in peril, has unveiled his national strategy (pdf) to mitigate honey bee loss, increase the Monarch butterfly population, and restore the habitats of both insects, whose health is essential to our food supply. 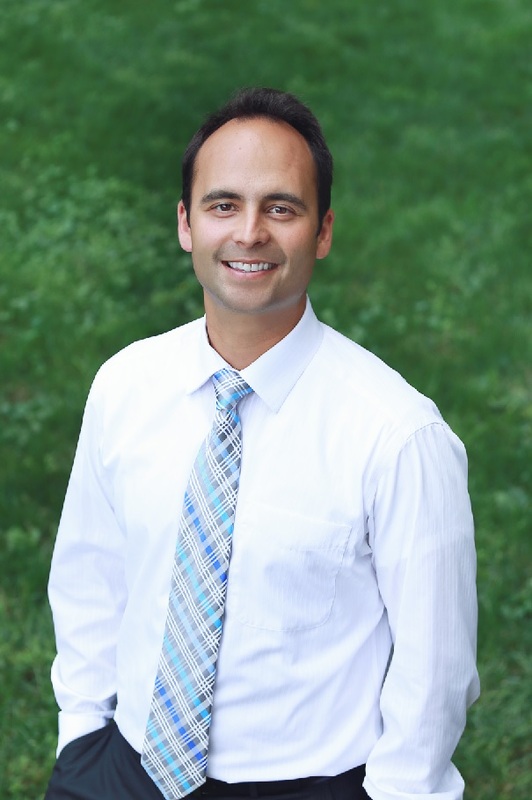 The program will depend heavily on federal agencies and will also involve Mexico and Canada, since bees and butterflies know nothing of state laws and don’t really care about borders. The strategic report includes a section on “expanding pollinator habitat on rights-of-way.” This doesn’t mean the feds will tell bees and butterflies who flies first, but rather that the US Department of Transportation and US Fish and Wildlife Service will help rehabilitate butterfly habitats alongside Interstate 35—a federal highway that extends from the Texas-Mexico border to Duluth, Minnesota. Will a warming planet destroy humankinds' most precious cultural treasures?